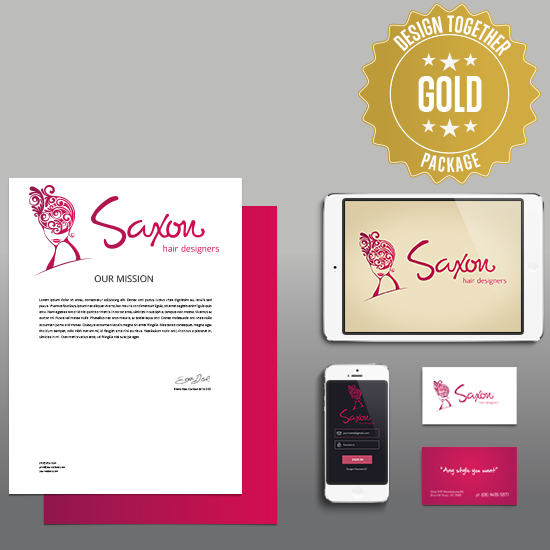 Our Gold package includes a professionally made Logo Design, email signature along with business card and letterhead design and printing. Design Together will uniquely create 4 logo templates allowing unlimited changes towards the finished design. This package is complimented with a custom built Website on the popular Wordpress CMS platform. Your custom built website contains a free domain name and 1 year free hosting. It will include a product gallery and is mobile optimised with one touch calling and email setup.